Have you ever wondered what is the significance of our dreams? All human beings dream. Irrespective of race, religion or country. And yet, each dream is different. 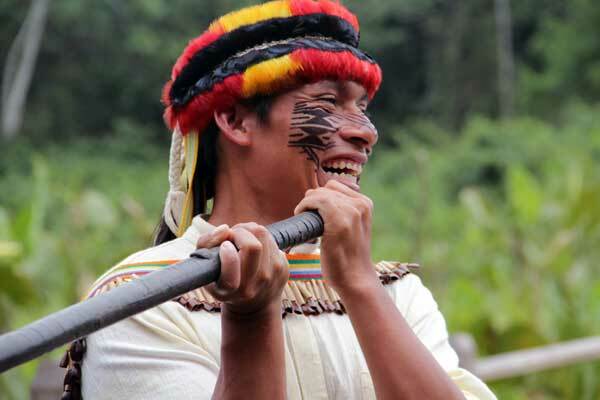 Deep in the South American Amazon, live a few tribes that have mastered the art of interpreting dreams. These indigenous tribes are known as dream cultures. The Achuar is one such tribe. 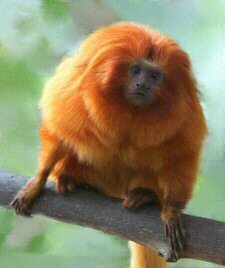 They live in the Amazon forest along either side of the border between Ecuador and Peru. Until a few decades ago they had no contact with the world outside their forest. So a lot of their culture, wisdom and understanding of nature is still a mystery. The Achuar believe that dreams are a powerful way of interpreting the future. They also have a deep respect for Nature and treat it is a living entity that guides them in the journey of life through signs and dreams. 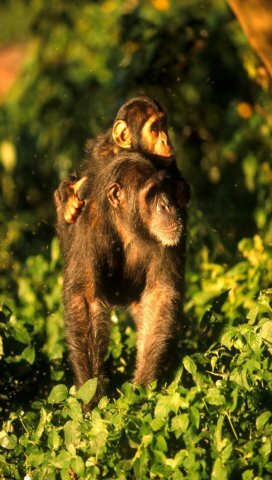 Perhaps that is why the Achuars have been able to live so harmoniously in the Amazon jungles for thousands of years. As the impact of human society on the environment increases and we move towards an uncertain future, the Achuars have reached out and shared their dreams and visions with us. In the hope that even though all of us have our own individual dreams, but perhaps as a society we can learn to share another dream. A dream of creating a future that is better than our present. A future that is better for everyone, irrespective of race, religion, country or species. 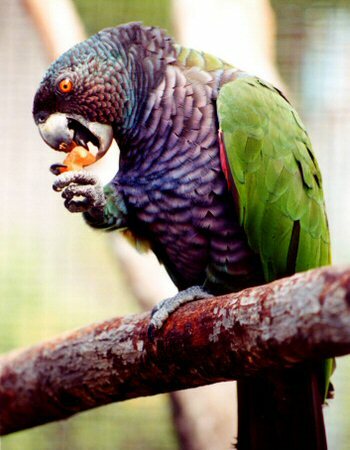 White Oak Conservation Center is one of the world’s premiere wildlife breeding, research, and training facilities. The Center, located along the St. Mary’s River in northeast Florida, spans 600 acres and is surrounded by 6,800 acres of pine and hardwood forest and wetlands. Co-founded in 1982 by philanthropist Howard Gilman and conservation biologist and current president John Lukas, White Oak Conservation Center provides conservation options for the future by maintaining genetically diverse populations of threatened species in spacious, natural facilities. 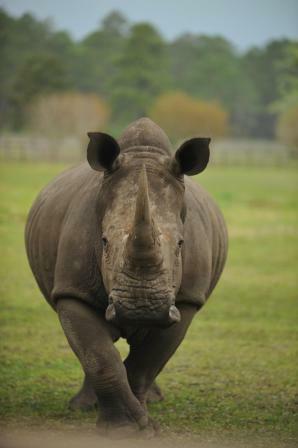 With a complex of research, husbandry, education and conference facilities, the Center leads professional efforts to improve veterinary care, develop holistic animal management techniques, and better understand the biology of critically endangered species. White Oak Conservation Center conserves and sustains some of the earth’s rarest wild animals through innovative training, research, education, breeding and field programs that contribute to the survival of wildlife in nature. Gilman International Conservation Foundation links the staff and managed animal programs of White Oak Conservation Center with international partners to conserve flagship species. A public charity, GIC was incorporated in 2001 to fundraise for, and coordinate field conservation initiatives that work to conserve flagship species and habitat diversity for species represented in the White Oak collection. This is accomplished by protecting natural habitats and engaging local communities to live sustainably, and be supportive of efforts to conserve biological diversity. Utilizing White Oak’s staff expertise, professional affiliations and networks, the foundation is able to draw the assets of other organizations into large scale endeavors that benefit the world’s biodiversity. This approach requires the long-term commitment of funds, staff, and partners to the cause. Building upon the natural appeal of species such as rhinos, cheetahs and okapi, GIC encourages people, communities and governments to actively participate in conservation initiatives. Through research projects, training opportunities, and education programs, GIC and White Oak Conservation Center seek sustainable solutions to the conservation challenges facing the earth’s biodiversity. Established in 1977, Sea Shepherd Conservation Society (SSCS) is an international non-profit, marine wildlife conservation organization. Their mission is to end the destruction of habitat and slaughter of wildlife in the world’s oceans in order to conserve and protect ecosystems and species. 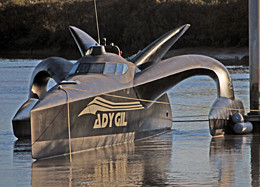 Sea Shepherd’s tactics have landed them in trouble with governments many a times. Their critics have questioned their direct action interventionist tactics. But Sea Shepherd maintains that it acts only in case of illegal operations and it is authorized to do so by United Nations World Charter for Nature. Sea Shepherd operates outside the petty cultural chauvinism of the human species. Their clients are whales, dolphins, seals, turtles, sea-birds, and fish. Sea Shepherd represents their interests. They are not anti-any nationality or culture. Sea Shepherd is pro-Ocean and they work in the interests of all life on Earth. Sea Shepherd only oppose criminals and criminal operations. Sea Shepherd has operated in the Southern Ocean Whale Sanctuary for the past 6 years interfering with illegal Japanese “scientific” whaling operations. “Whale Wars”, a hit show on Animal Planet documents this particular campaign and is currently about to air it’s third season. Sea Shepherd also uncovered the Taiji, Japan dolphin slaughter, subsequently “The Cove” by Louie Psihoyos filmed and won a 2010 Academy Award for Best Documentary. Sea Shepherd also has a location in the Galapagos Islands and actively assists the Marine Reserves to end illegal fishing and the illegal shark fin trade. The world’s fastest land animal, the cheetah, is a unique and the most specialized member of the cat family and can reach speeds of 70 mph. It is also the most endangered cat in Africa. Once a common animal found on five continents, the cheetah is now an Endangered Species. The number of cheetahs has decreased from 100,000 at end of the 19th century to approximately 10,000 today. In addition to its own loss of genetic variation, the main threats facing the cheetah today are loss of habitat, a reduction in its prey base, conflicts with livestock farming, and a reduced ability to survive in parks and reserves due to the presence of larger predators. Yet, despite all these problems, the cheetah is the oldest of the big cats, and has survived the longest. If we can provide a habitat and a rich prey-base for cheetahs on the livestock farmlands of southern Africa, the cheetah’s race will be one of survival, not extinction. Only the “human animal” can save the cheetah from extinction. And that is why the Cheetah Conservation Fund now works in Africa. 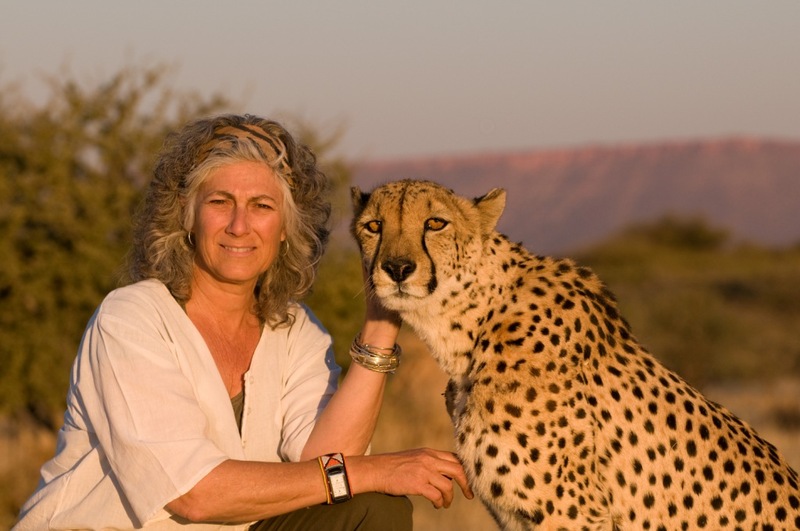 The Cheetah Conservation Fund (CCF) was founded in 1990 by Dr. Laurie Marker. CCF’s mission is to be the world’s resource charged with protecting the cheetah and ultimately ensuring its future on our planet. CCF will work with all stakeholders within the cheetah’s ecosystem to develop best practices in research, education and ecology and create a sustainable model from which all other species, including people, will benefit. As Namibia has the largest and healthiest population of cheetahs left in the world, CCF’s International Research and Education Centre, which is open to the public, is based in Namibia, near Otjiwarongo. conducting intensive scientific research and publishing papers on research findings—in cheetah genetics, biology, ecology, health and reproduction, human impact, and species survival, including assistance with the management of captive and free-ranging cheetah throughout the world. CCF also develops and implements non-lethal predator control and other better livestock management practices. These include CCF’s Livestock Guarding Dog Programme, and the relocation of problem cheetahs, which attempt to eliminate the need for ranchers to kill cheetah. creating and managing long-term conservation strategies for the cheetah throughout their range. 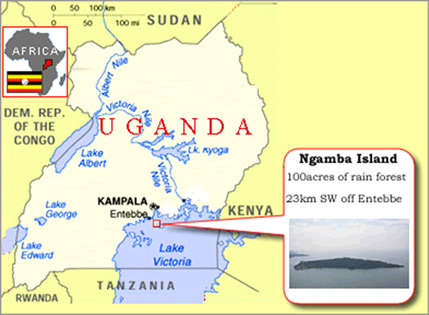 CCF researchers develop, test, and promote alternative land-management practices such as conservancy development, and eco-tourism. carrying out local and international conservation education programmes to illustrate ways in which the species can be protected, by addressing community upliftment and predator-conflict resolution. CCF also creates and disseminates education materials worldwide. building capacity in countries that still harbour cheetah populations. The international programme currently includes distributing CCF materials, lending resources and support, and providing training throughout Africa and the rest of the world. CCF is a proactive organisation that finds practical solutions to help people to help the cheetah and this is reflected in the CCF Vision: “We see a world in which cheetahs live and flourish in co-existence with people and the environment”. Its work to save the wild cheetah and its wilderness habitat is successful because it works on all aspects of the cheetah’s plight, through education and public outreach, applied conservation biology and management, public policy, and science and research. While CCF’s main headquarters are in Namibia (SW Africa), its reach and vision are worldwide. Efforts are currently underway in Kenya, South Africa, Botswana, and Iran to help develop new conservation programmes or support existing cheetah conservation efforts.